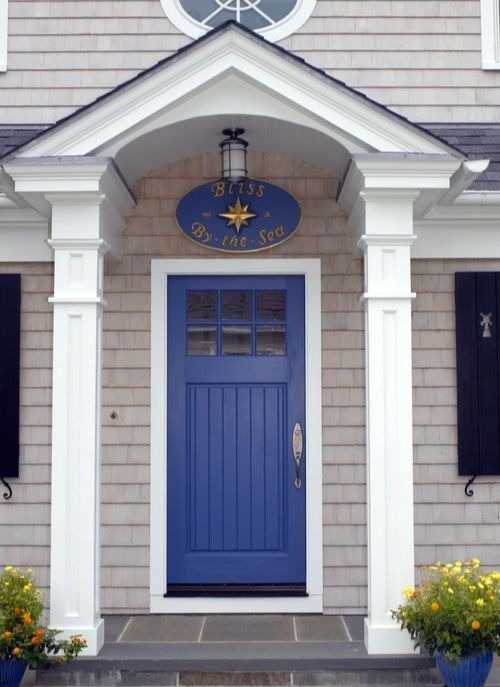 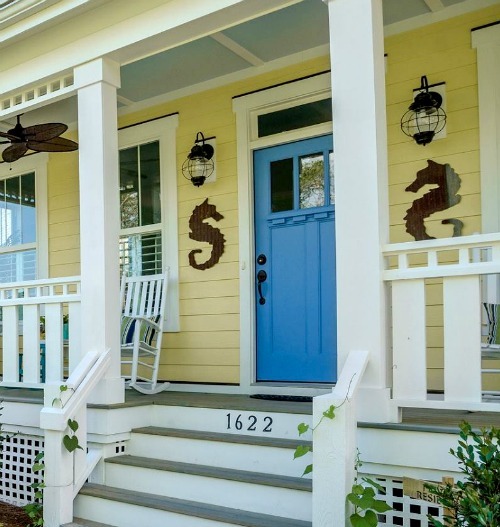 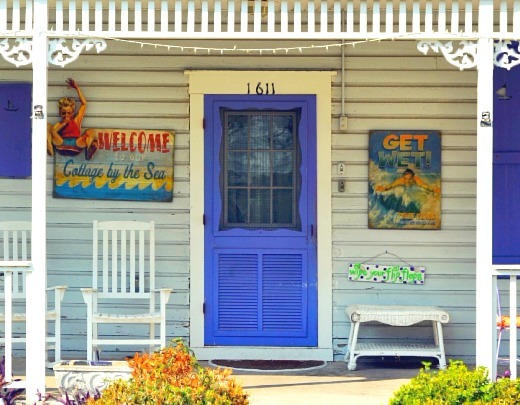 Make your entry stand out with a front door that is painted blue -the most quintessential coastal color. 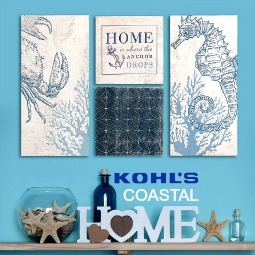 Blue evokes the sea and sky and the variety of blue hues seems infinite. 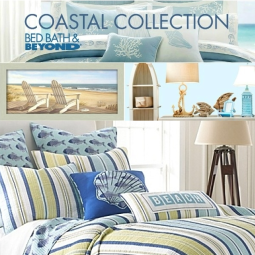 From hues of pale blues, to vibrant and popular turquoise, to rich navy blues. 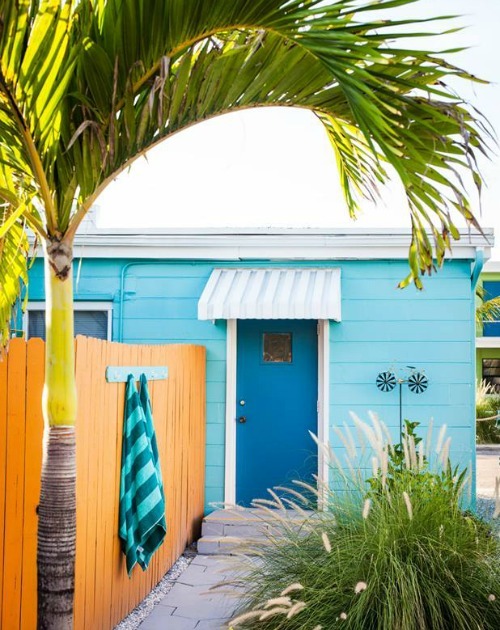 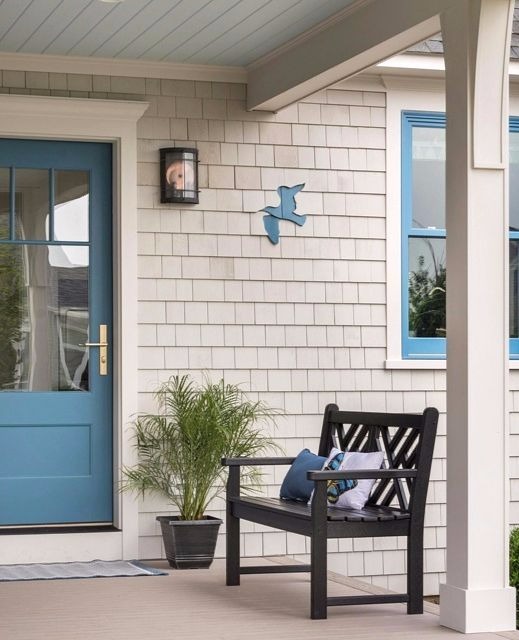 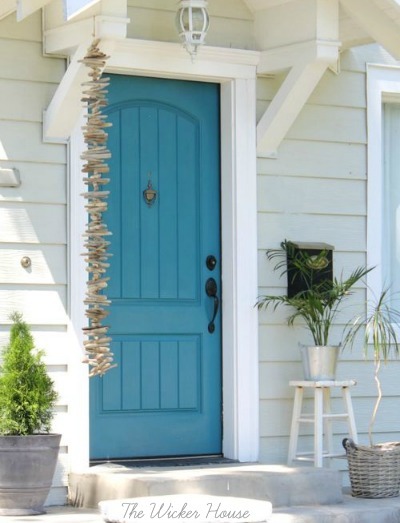 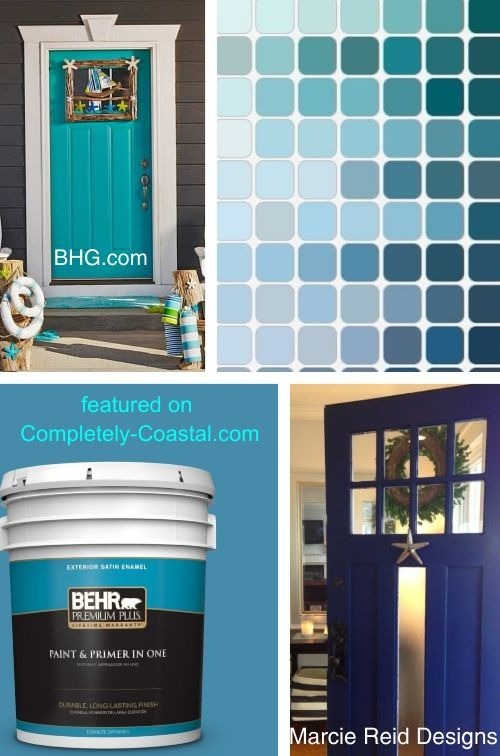 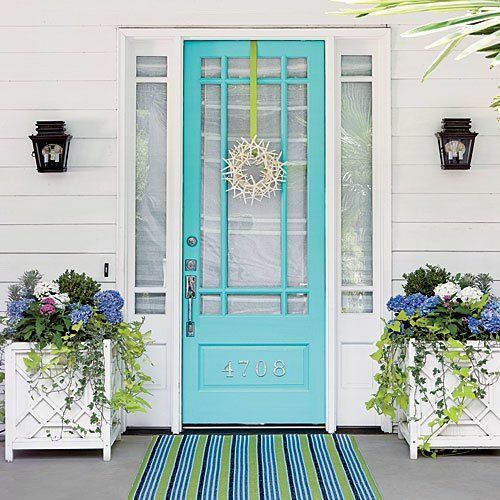 Discover your coastal blue with these inspirational blue front doors! 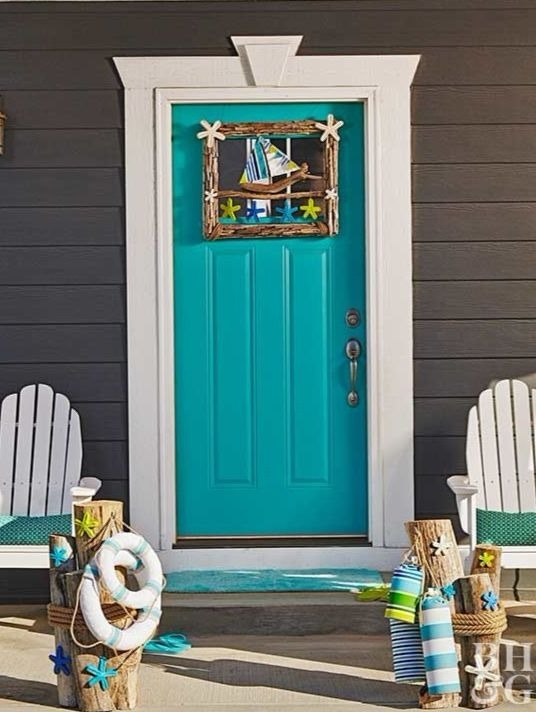 And to capture the coast and sea even more, add coastal decorations to your blue front door! 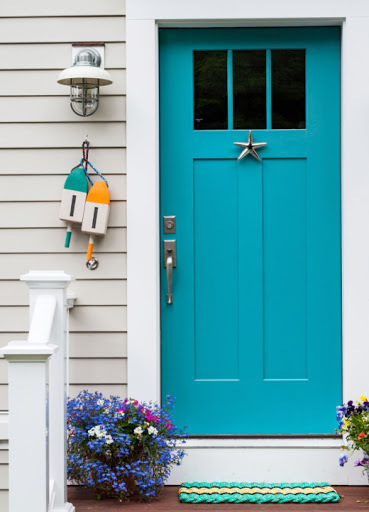 The blue front door stands out against the exterior. 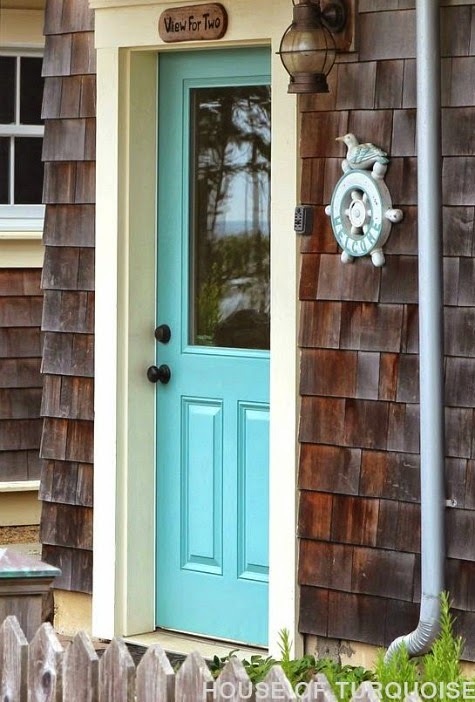 The entire entry is a fun and welcoming composition of Coastal and Nautical Decorations. 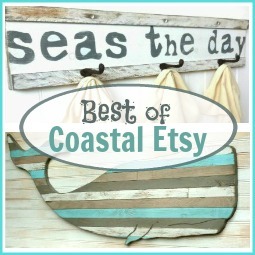 Featured on Driftwood Garland Decor Ideas. 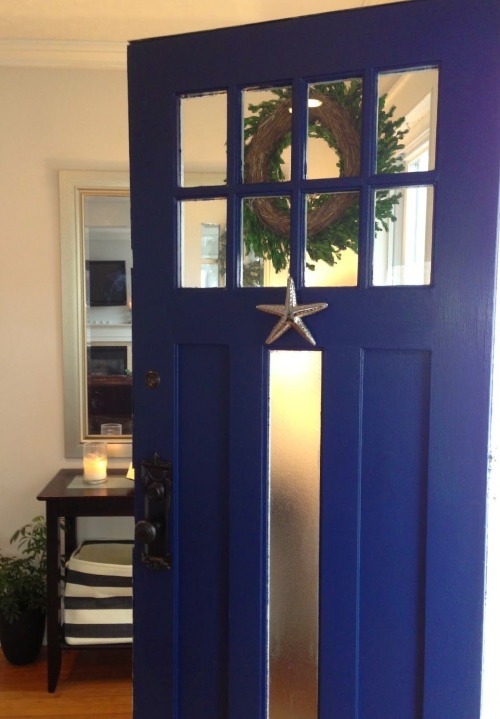 Blue painted door with Coastal Door Knocker by Michael Healy. 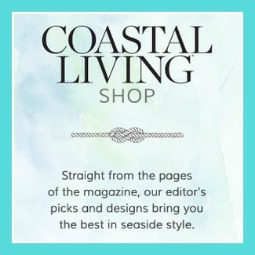 Featured on Coastal Mosaic Shingle Art. 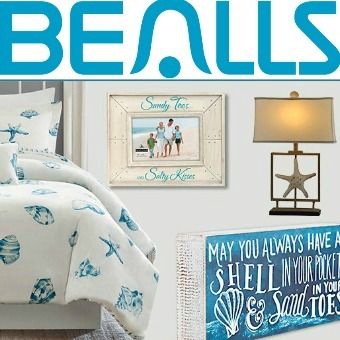 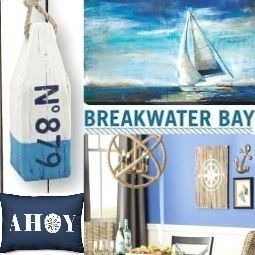 Featured on 17 Front Doors & Decorations with Coastal & Nautical Personality. 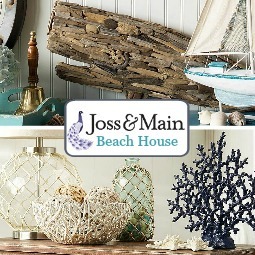 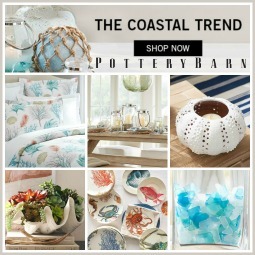 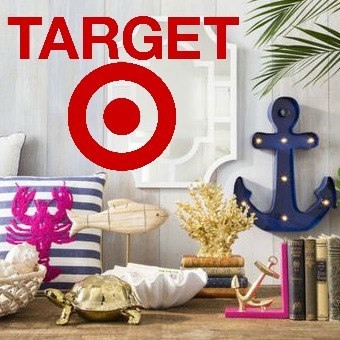 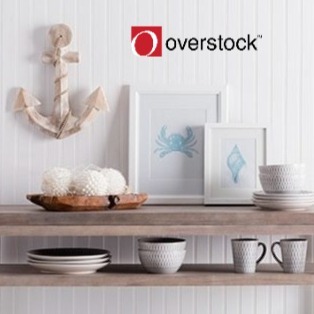 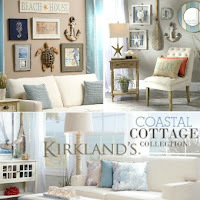 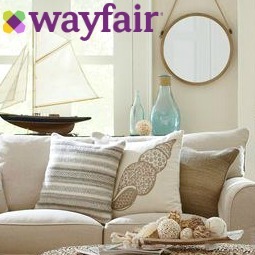 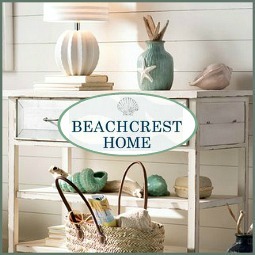 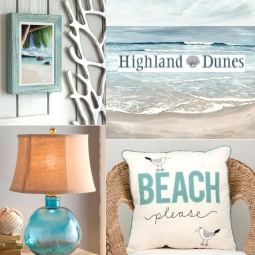 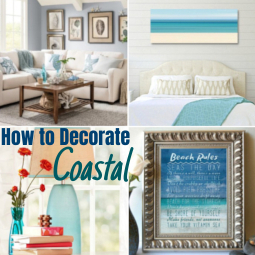 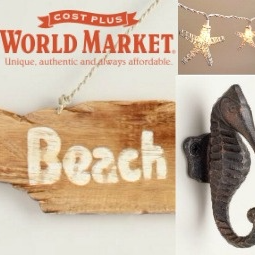 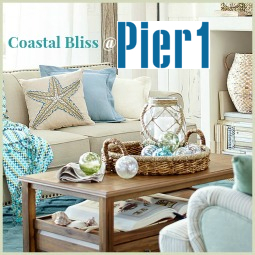 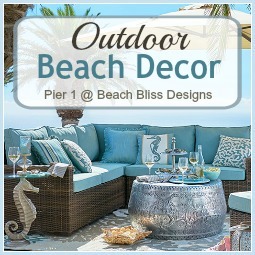 Featured on Bright and Simple Beach Cottage Decor Ideas.